Actor and model Kim Dong Yoon is best known for his performance in Two Weddings and a Funeral (2012), where he plays a closeted gay man who enters into a sham marriage with his lesbian co-worker. It was a particularly daring film for a still conservative Korean society, but was quite successful and Mr. Kim was fantastic in the role. Although Two Weddings and a Funeral was Kim Dong Yoon’s first foray into the big theater world (having only done small films previously), he’s no stranger to television. He appeared in numerous television dramas since his debut in 2002, such as King’s Dream and Moon and Stars for You, as well as the historical Dong Yi and the current Save the Family. Kim Dong Yoon is a handsome guy with great style. His backpack of choice is from John Peters New York, an urban backpack brand with an authentic big apple feel. It has fantastic school backpacks in a range of styles and colors, all with great design. 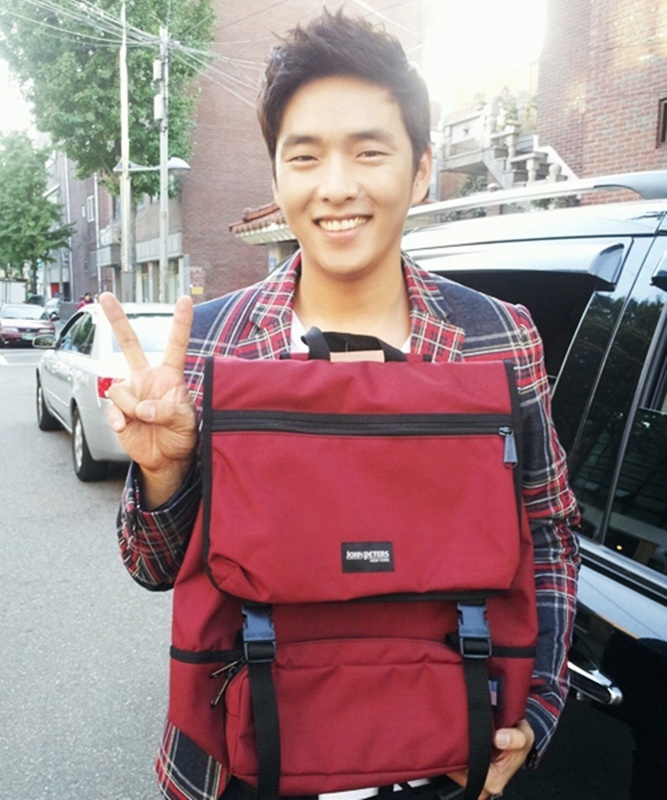 This burgundy backpack with Kim Dong Yoon suits him very well, don’t you think? To find out more or order your own Manhattan-style backpack, check out www.johnpetersnewyork.com. Share the post "Kim Dong Yoon’s Backpack"
Posted in CELEBRITY'S PICK and tagged kim dong yoon, kim dong yoon backpack, kim dong yoon bag, kim dong yoon fashion, kim dong yoon style. Bookmark the permalink.